Read stories about people with physics degrees from UC Davis by checking out physics professor Lloyd Knox's blog, Degree of Satisfaction. For quantitative information on physics careers, visit the career resources site of the American Institute of Physics. If you are curious about the laws of nature, Einstein’s counterintuitive ideas about space and time, the strange laws governing subatomic interactions, currents that flow without resistance, the physical basis for modern electronics, the nature of the cosmos, and what is known about the Big Bang and black holes, then we have very good news: You can indulge your curiosity while preparing for future career satisfaction as a UC Davis physics major. The study of physics at UC Davis offers exposure to truly astounding ideas about the nature of reality. It’s a celebration of the beauty of the laws of nature and the power of the human mind. And you receive rigorous intellectual training in how to grasp any subject at a fundamental level. Perhaps surprisingly, this somewhat esoteric course of study is excellent preparation for a great variety of practical career paths. We hear time and time again from our alumni and employers that studying subjects such as the twin paradox, wave-particle duality or the curvature of space-time pays off handsomely in terms of future employment and career satisfaction. Elon Musk, who majored in physics at the University of Pennsylvania and then went on to found SpaceX, Tesla, and Solar City, points to the “first-principles thinking” required to develop quantum mechanics as essential to fundamental technological innovation. Since 2007, every spring quarter I have run a seminar series in which our alumni come back and talk to our students about what they are doing in the world. They also share life wisdom they have gained since graduation. This is how I know our alumni highly value their physics educations. 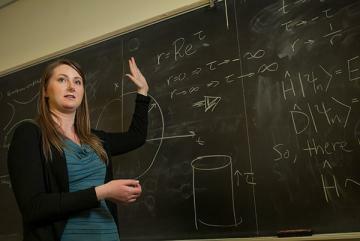 Jamie Orr, Ph.D. ’11, wrote her theoretical dissertation on the physics of protein folding. 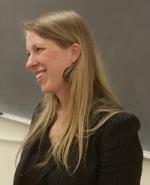 Since then she has been an adjunct professor at Foothill College, a member of many boards including Sustainable Silicon Valley, an economic and community development consultant, and a founder and CEO of Tahoe Mountain Lab. Greg Spooner, B.S. 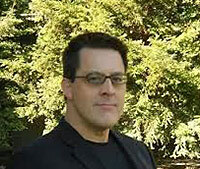 ’85, Ph.D. ’92, is a physicist and engineer with a bachelor’s in applied physics and a doctorate in physics. Spooner works in the fields of medical devices, medical laser applications, optical engineering and intellectual property. He has worked for laser companies Coherent, IntraLase and Cutera, and has served on the board of directors for the American Society for Lasers in Medicine and Surgery. Michael Lazich, B.S. ’85, M.S. ’87, is one of our many graduates working in Silicon Valley. He has a bachelor’s degree in applied physics and a master’s in applied science from UC Davis and an MBA from Carnegie Mellon University. Read about Lazich’s career from its beginning in dreams of space travel, through two trips back to school and a variety of employers — including the U.S. Navy, manufacturing companies, a management consulting company and more than a handful of startups. About half of our undergraduates go on to doctoral programs. A physics Ph.D. program is one of the best educational value deals out there. Graduate school in physics, for almost every student, is free. Students typically cover tuition and living expenses by working as teaching assistants or research assistants. If your curiosity so moves you, we invite you to learn more about majoring in physics at UC Davis by visiting our website. There, you can find course offerings, video testimonialsfrom students, our list of answers to the question “Why Physics at UC Davis?” and more. You can also like our department’s Facebook page and check the Astronomy, Physics, and Undergraduate Diversity and Inclusion in Physics student clubs. Finally, if you would like to schedule a visit to the UC Davis Department of Physics, please contact our undergraduate student advisor, Jason Sison, at 530-752-4092, jcsison@ucdavis.edu.